THE GOVERNMENT IS to begin drafting heads of a Bill that will ban the sale, manufacture, import and export of products containing plastic microbeads. 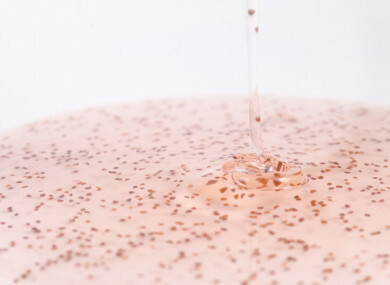 The Minister for Communications, Energy and Natural Resources, Denis Naughten told his EU colleagues in April that Ireland could not wait for an EU directive to prohibit microbeads. He said Ireland would follow the UK and France’s lead and introduce its own legislation that will ban their use. The US banned their use in 2015. While other political parties such as the Green Party and Labour have introduced their own Bills on banning microbeads, the government argued they were ‘significantly flawed’ and accused Labour’s Bill of ‘generally confusing’ microbeads and microplastics. Green Party Senator Grace O’Sullivan’s Micro-Plastic and Micro-Bead Pollution Prevention Bill 2016 was opposed by government as it said it breached EU law. The Bill provided for a fine on prosecution of up to €10,000 for each item for sale, sold, or manufactured which contained microbeads. The minister told his Cabinet colleagues Ireland was pressing ahead with its own legislation due to the devastating effects of plastics – such as microbeads – are having on our oceans. Email “Ireland set to ban plastic microbeads as Cabinet approves drafting of new law ”. Feedback on “Ireland set to ban plastic microbeads as Cabinet approves drafting of new law ”.